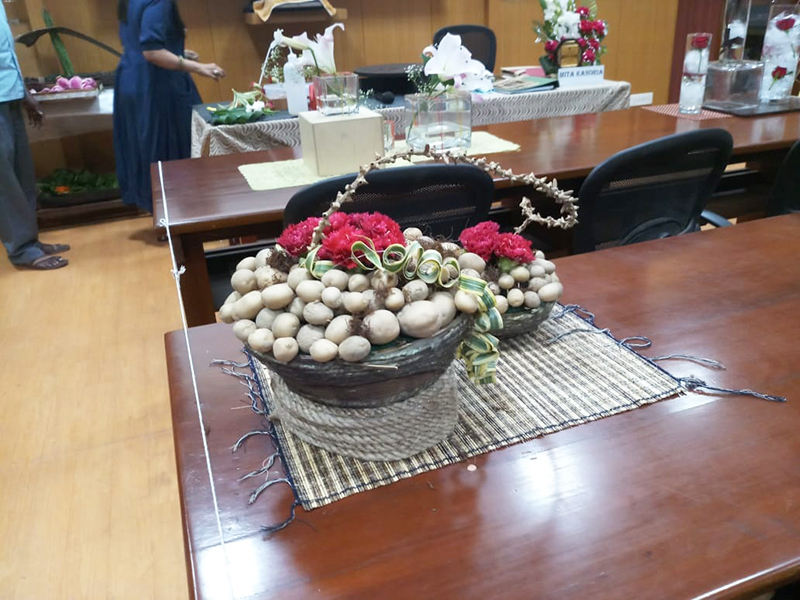 On 4th April, 2018, ST. XAVIER'S COLLEGE (CALCUTTA) ALUMNI ASSOCIATION WOMEN'S FORUM organised a workshop on "Flower arrangement and decoration" at Room No. 15. 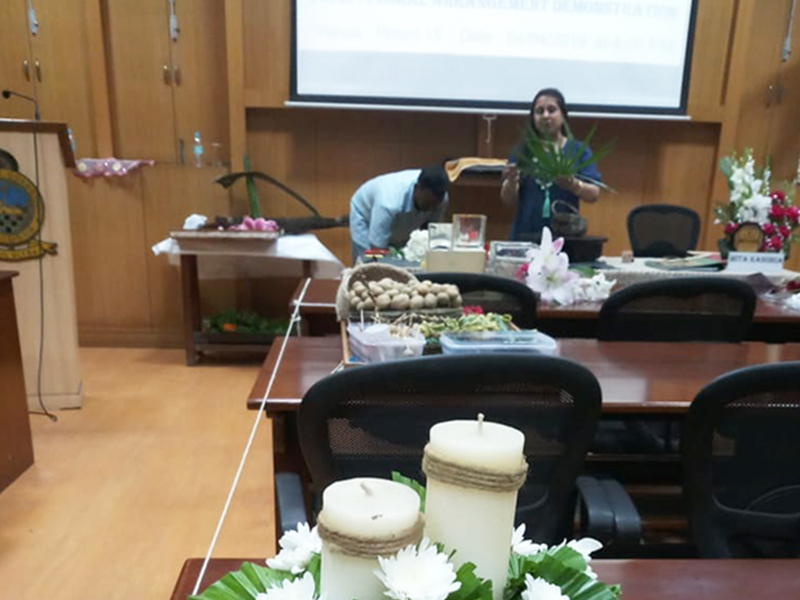 The workshop continued for 2 hours .The programme started with emcee Mrs. Neelima Jhunjhunwala welcoming the guests. 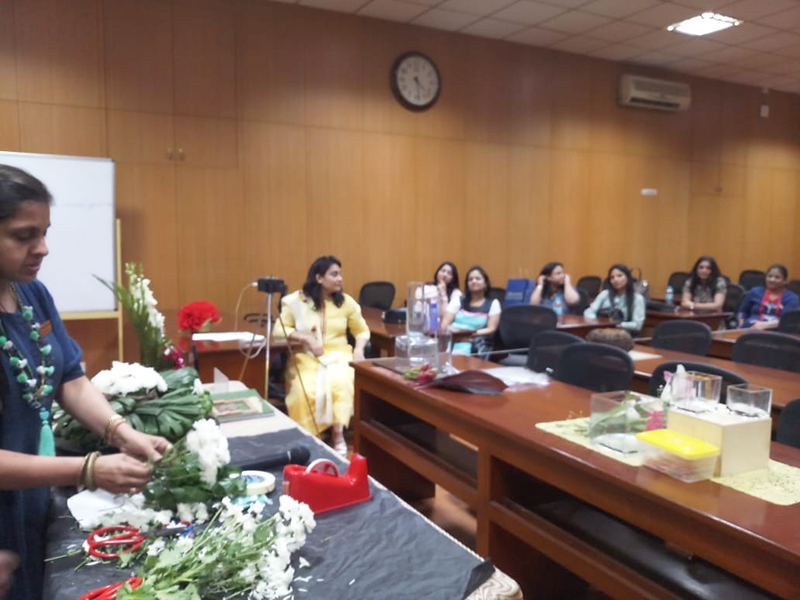 Women's forum convener Mrs. Sujata Rampuria introduced speaker Mrs. Mita Kanoria, an internationally recognized senior floral artist and she shared with us about her expertise and experiences. 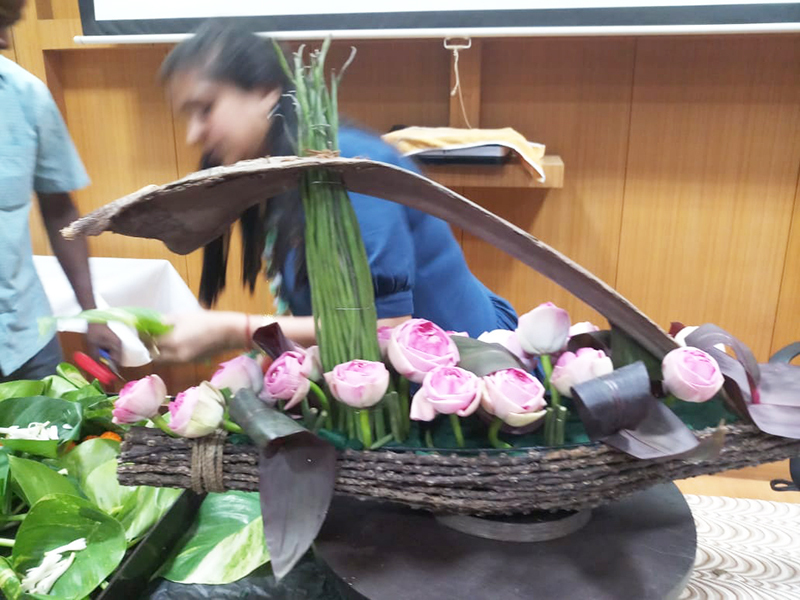 She shared few amazing floral decoration in the workshop. 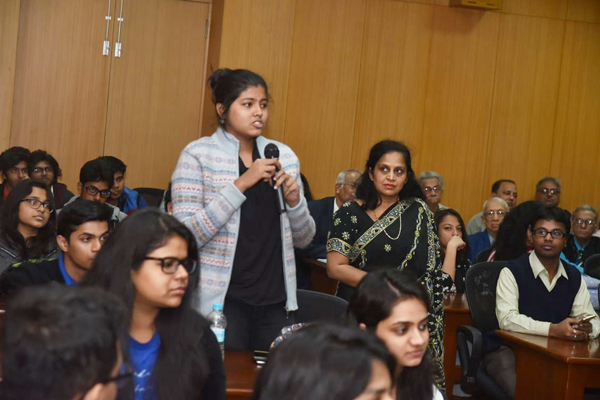 It was followed by an interactive session. The workshop proved to be very helpful and informative and much appreciated by all present. Mrs. Renu Agarwal gave the vote of thanks on behalf of the Women's Forum. The programme ended with a High Tea and everybody left with a sense of satisfaction. 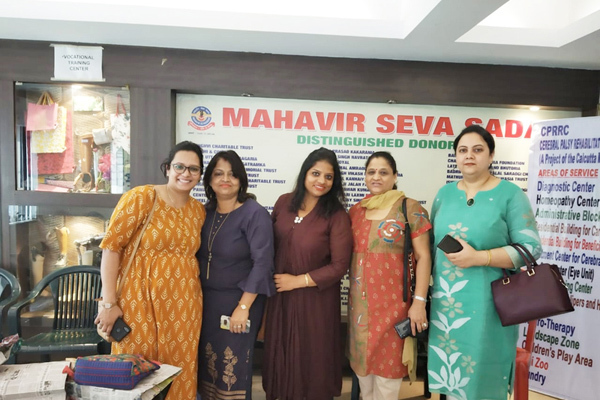 The members of SXCCAA Women's Forum visited the Mahavir Seva Sadan on February 17, 2019. 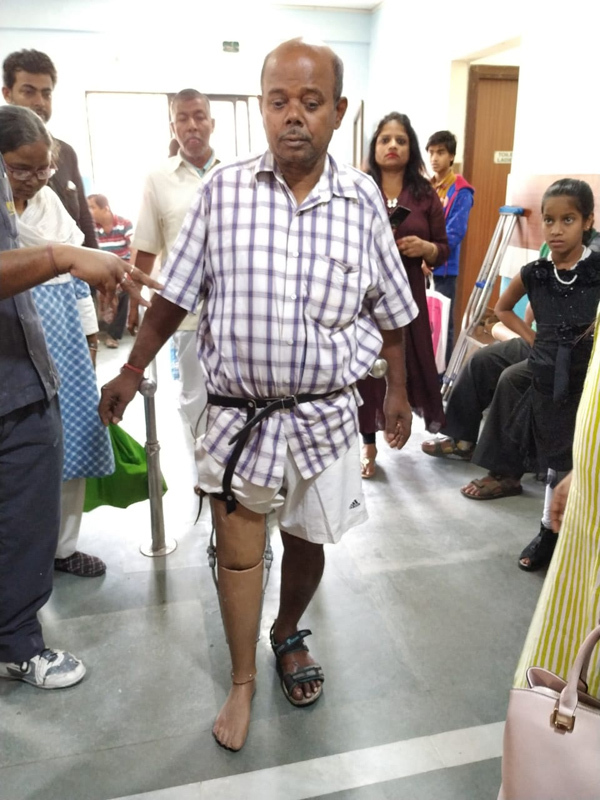 It is a pioneer institute in providing artificial limbs to physically challenged people free of cost, life long. 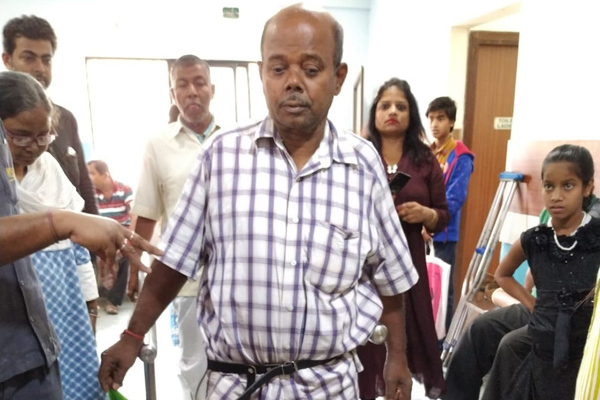 It has helped over 2 lakh physically challanged people to change their lives from despondency to regain mobility to confidence to become winners in life. We were taken to each department of the institute and were briefed about the process and working of this institute. 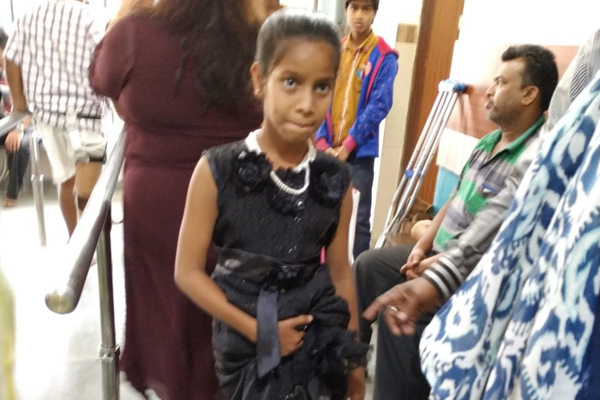 Under one roof, it provides facilities of free artificial limbs unit, physiotheraphy department, diagonistic center, homeophathy clinic, celebral palsy unit for children, polio correction, eye care unit and vocational training center. Women's Forum extended a help of Rs.10,000/- for this nobel cause to this institute. It will help someone handicapped to get his/her limbs. It was a heart warming experience. 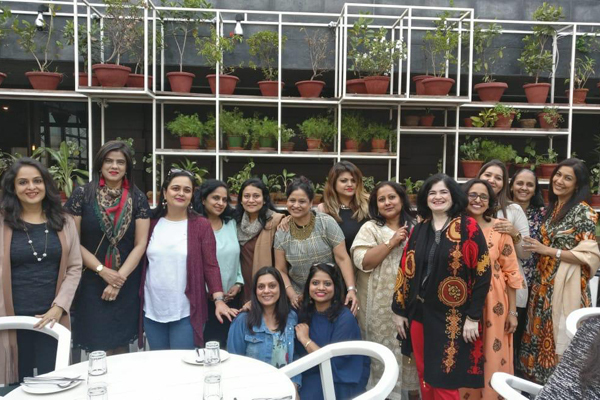 On 18th January, 2019, SXCCAA Womens Forum organised a fellowship programme at THE SALT HOUSE. A winter setting Friday evening on an open terrace, hot pipping coffee and yummy food was a perfect way to start the New Year. The evening was full of laughter and jokes, fun games, and many more. Along with all the fun, some discussions were also held on the philanthropic activities of the Forum. 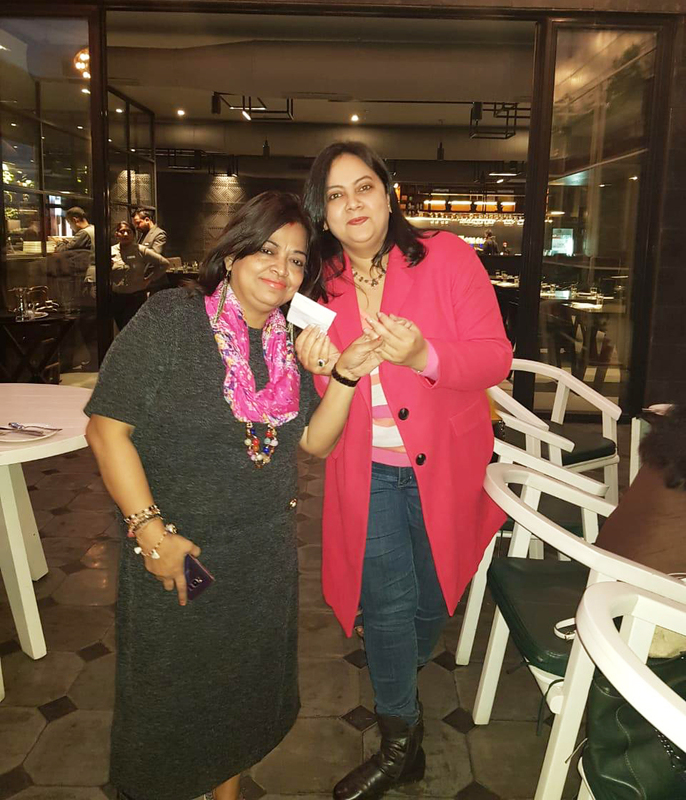 The evening ended on a sweet note with future plans and activities on the to-do list. 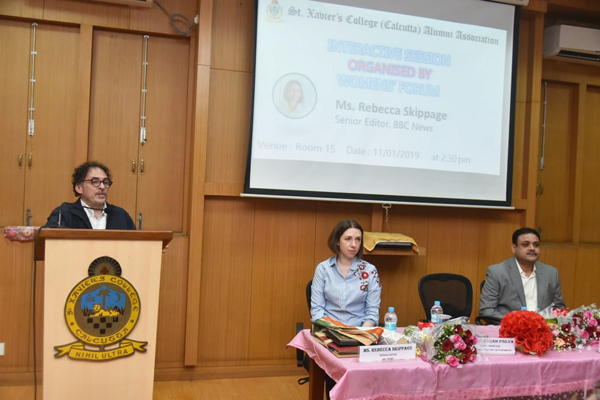 On 11th January, 2019, ST.XAVIER"S COLLEGE CALCUTTA ALUMNI ASSOCIATION WOMEN'S FORUM organised a seminar on "Present and Future of Digital World and Charms and Challenges of Journalism" at Room No.15.The seminar started at 2:30 pm and continued for one hour. 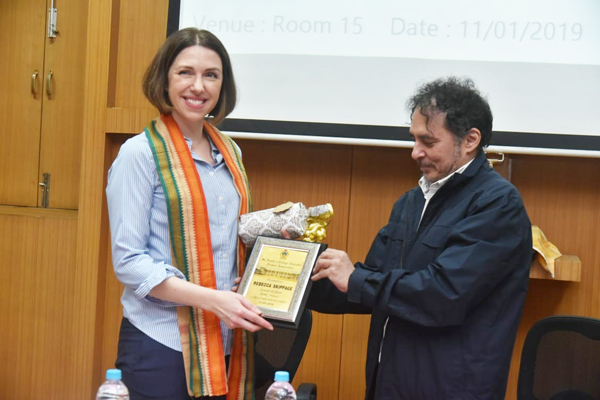 Professor Bertram D'silva, Acting Principal of St.Xavier's College (Autonomous) Kolkata, Ms. Rebecca Skippage, Senior Editor of the BBC News, Mr. Sanjeeb Konar, Hony. 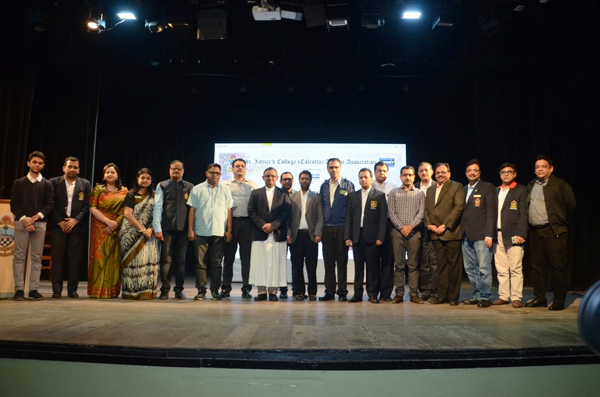 Secretary of St.Xavier's College Calcutta Alumni Association and Mr. Firdausul Hasan, the Immediate Past Secretary of St.Xavier's College Calcutta Alumni Association were present on the occasion. 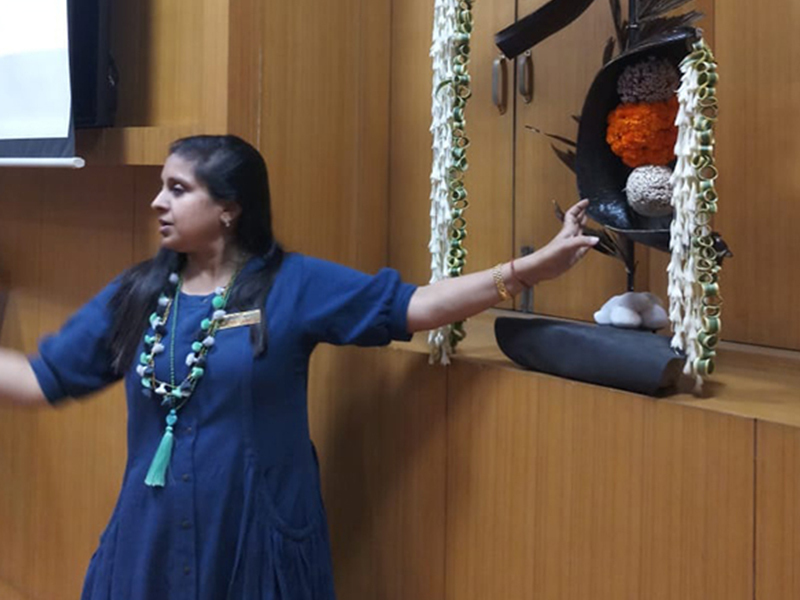 The programme started with Emcee Sanjukta Mahendiratta welcoming the guests. This was followed by an inspiring speech by Professor Bertram D'silva. 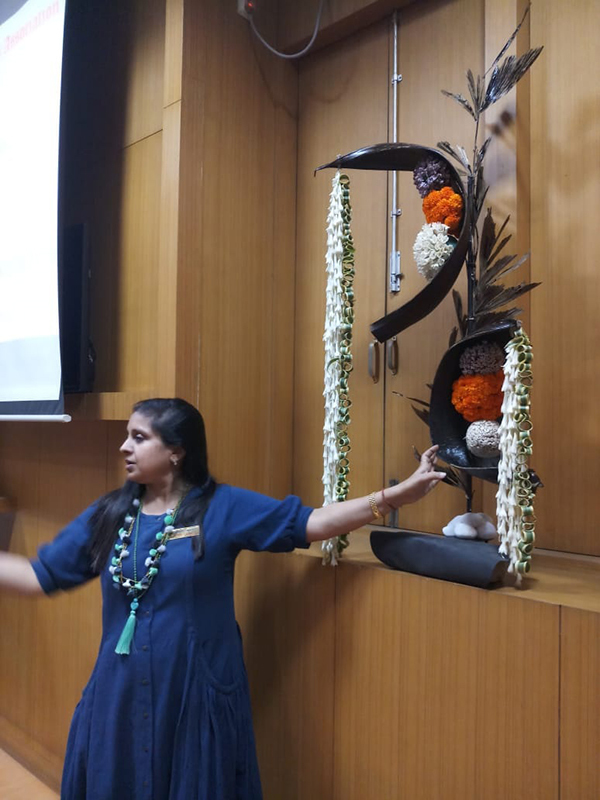 Next Abhilasha Chandak gave an introduction of Ms. Rebecca Skippage. 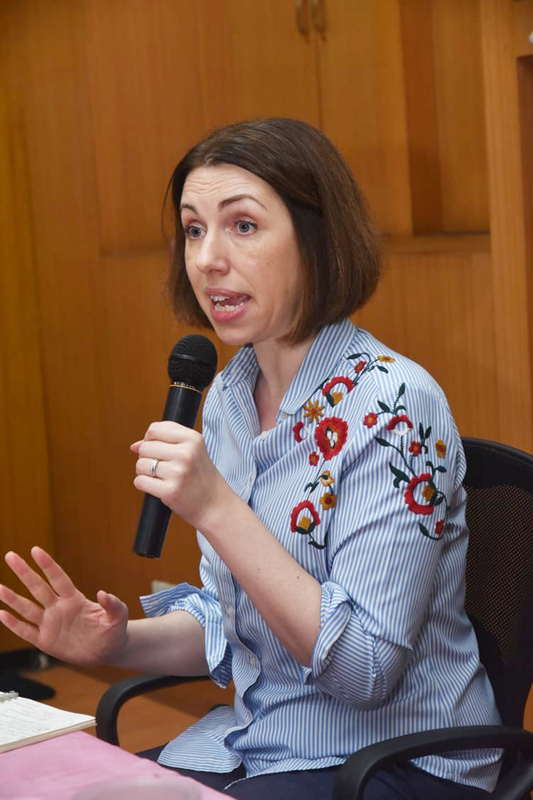 After the introduction, Ms. Rebecca Skippage gave a very lucid and interesting speech on the day's topic. She spoke about how digitization has facilitated direct two-way communication. She spoke about Facebook, Snapchat, Twitter and other platforms that are now making news to reach people instantly. 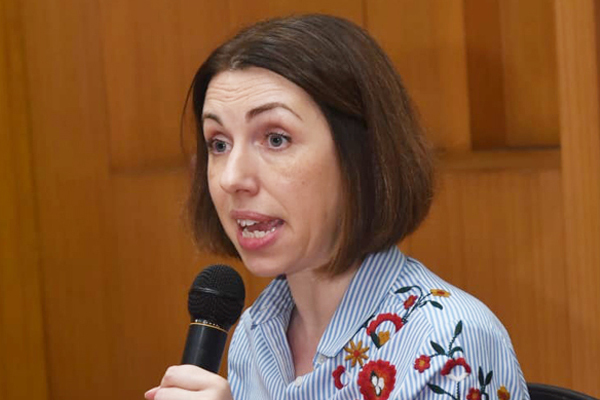 She mentioned about global disinformation team and fake news platforms. She focussed on technicalities as to how BBC cross-checks and verifies news. She also discussed journalism and it's charms and challenges. She spoke about diversity at BBC and role played by women in journalism. She ended her Talk Show with an interactive session where she answered questions posed by students, Women's Forum members and the Alumni. The seminar proved to be very helpful and informative and much appreciated by all present. Ruchi Chandak gave vote of thanks on behalf of the Women's Forum. The programme ended with a High Tea and everybody left with a sense of satisfaction. Like every year, the calendar year of SXCCAA starts off with the annual tea meet. 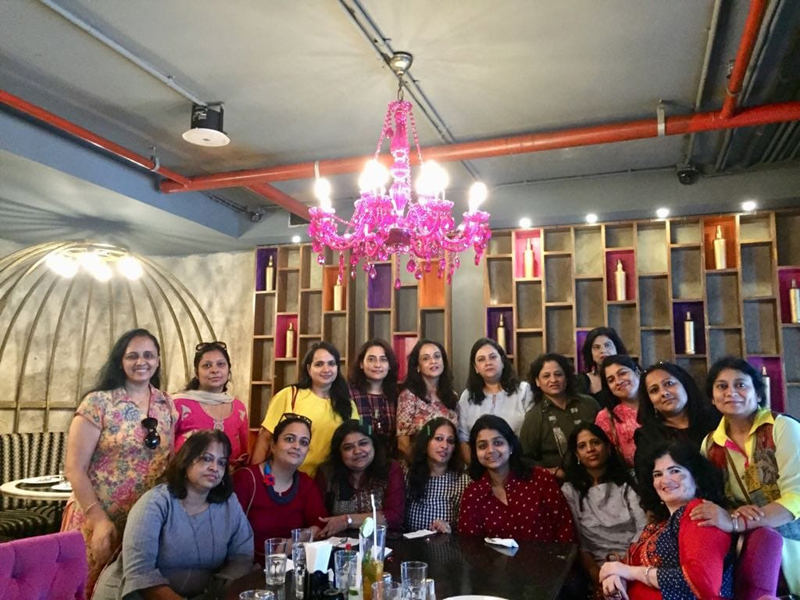 The meet this year was on 8th December 2018,spearheaded by the womens forum. 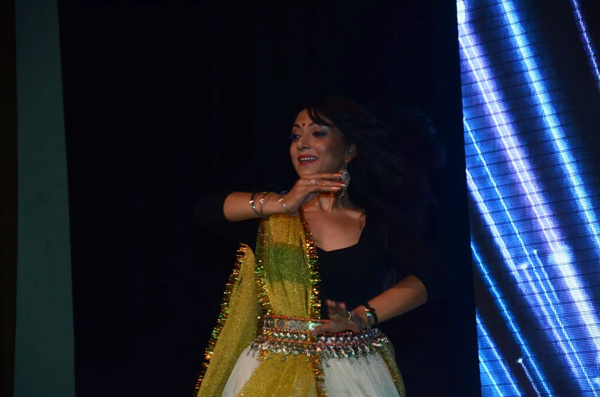 A group of four young xaverian boys stormed the stage and entertained the 300 plus audience with their musical performance and none other than the very popular and our very own xaverian Ms.Devlina Kumar and her troupe left the audience mesmerized with their dance performance. The association got the opportunity to felicitate the Table tennis player from Bengal -Ms Mouma Das. Ms Das is a commonwealth gold winner and arjuna awarded. 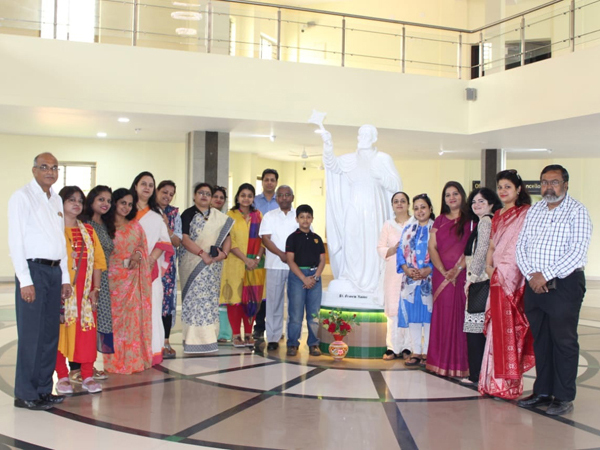 The women's forum is indebted to Father Dominic savio for all his motivation , inspiration and blessings. All members present went back home with bags full of gifts and hearts full of joy and of course stomach full of tasty snacks. 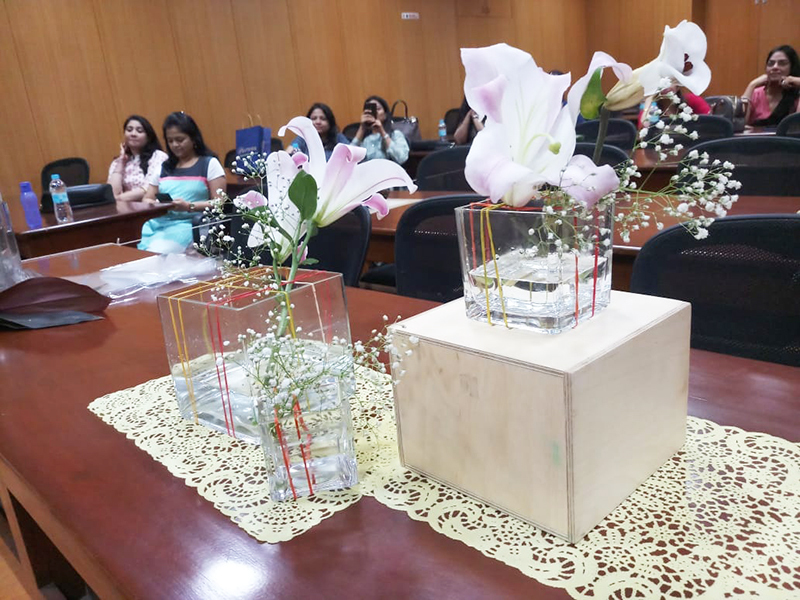 The joint convenors this year ms Ritu bhuvaria and ms Purnima bothra worked tirelessly . The tea meet was a perfect Saturday winter evening. 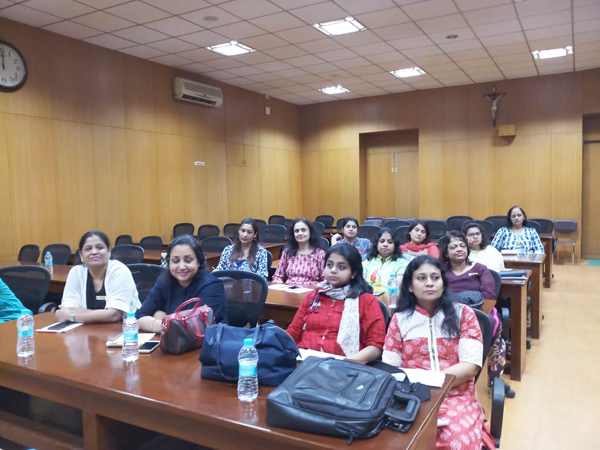 On 26th June, 2018, St. Xavier’s College (Calcutta) Alumni Association Women’s Forum organised a workshop on “Mobile Technology” at Room No. 15. The workshop started at 4.30pm and continued for two hours. Emcee Mrs. Minu Agarwal started the proceedings with a welcome speech. 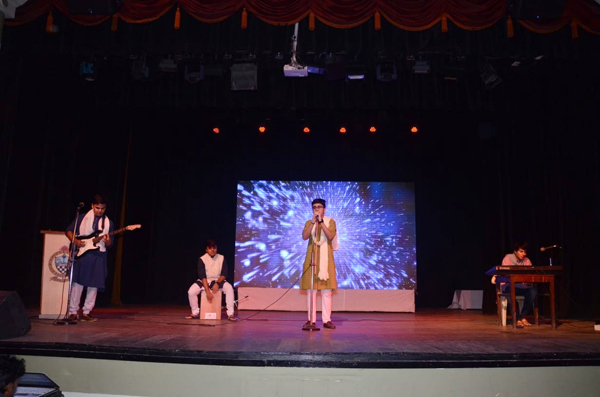 The noted young Sitar player Kalyan Majumdar, who incidentally is also a web developer, application developer and an Ex-Xaverian, conducted the workshop. 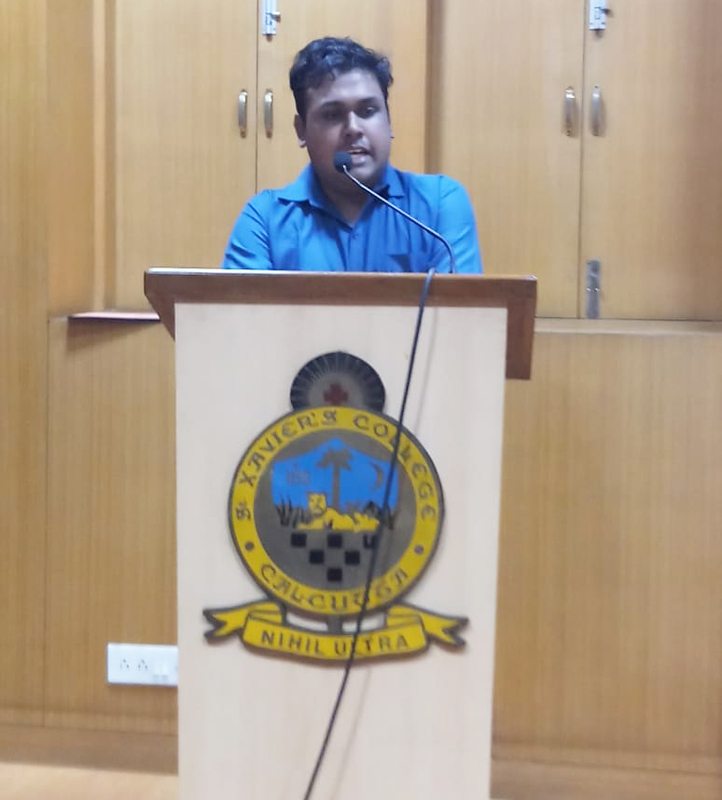 He demonstrated the various uses of Mobile Apps such as PayTM, Instagram, Modern GPS Technology, WhatsApp, Facebook, etc. He also explained how to create invites, how to save phone storage space and how to reduce phone battery consumption. This was followed by an interactive session. The workshop proved to be very helpful and informative and much appreciated by all present. Mrs. Minu Agarwal gave the vote of thanks on behalf of the Women’s Forum. The programme ended with a High Tea and everybody left with a sense of satisfaction. 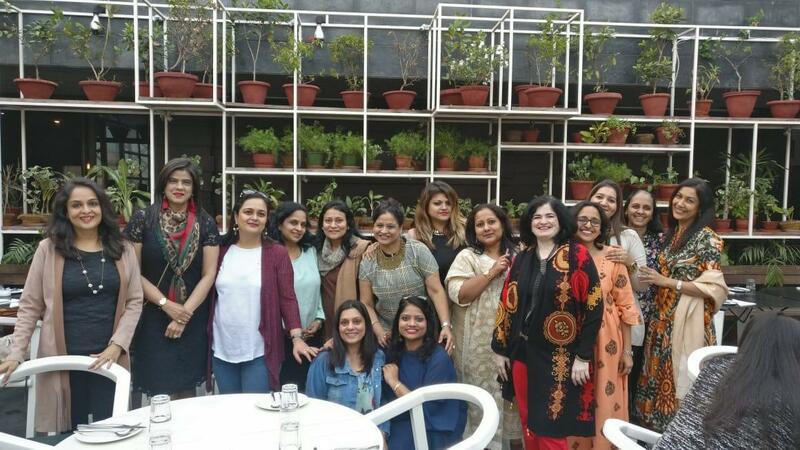 On 4th May, 2018 at 2.30pm, 3 members from the St. Xavier's College Calcutta Alumni Association Women's Forum visited the Nari Seva Sangh situated near the Jodhpur Park Post Office. Nari Seva Sangh is engaged in helping the needy and deprived women from all sections of the society. 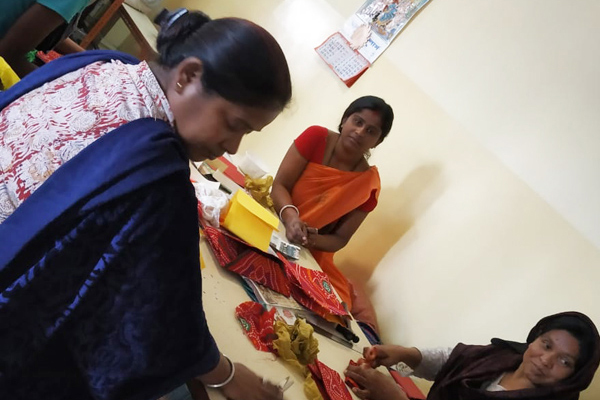 They provide them training in the fields of embroidery, block prints of sarees and bags, kantha-making, bandhni and batik, making hats and linen items, handloom weaving and making jam and juices, so that these women can make their independent career. The organisation also has a free primary school for kids upto class 4. 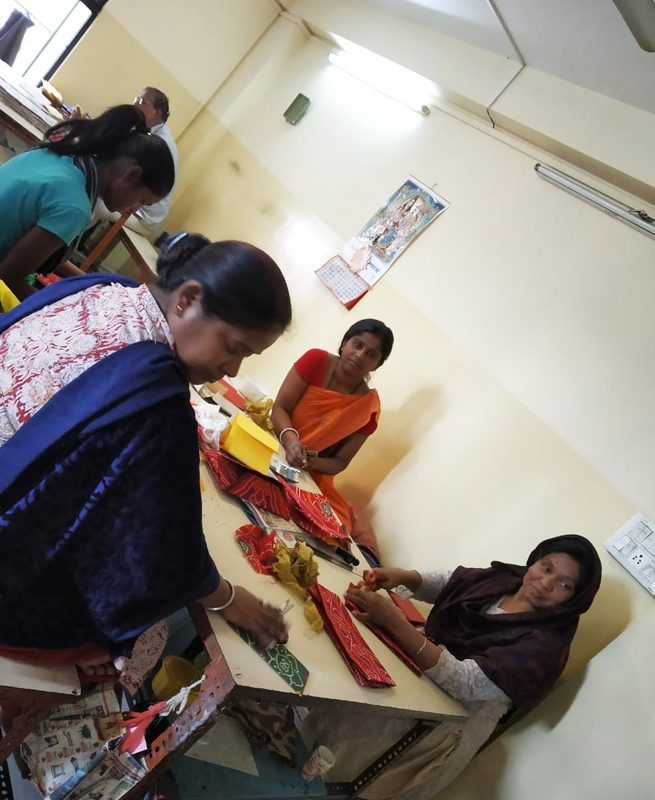 The Women's Forum members visited the triaining centre and interacted with the ladies of the Sangh and saw their various activities. As a part of philanthropic activity, an amount of Rs. 6000/- was donated on behalf of the Women's Forum to a needy woman, Rumki, for her career development. 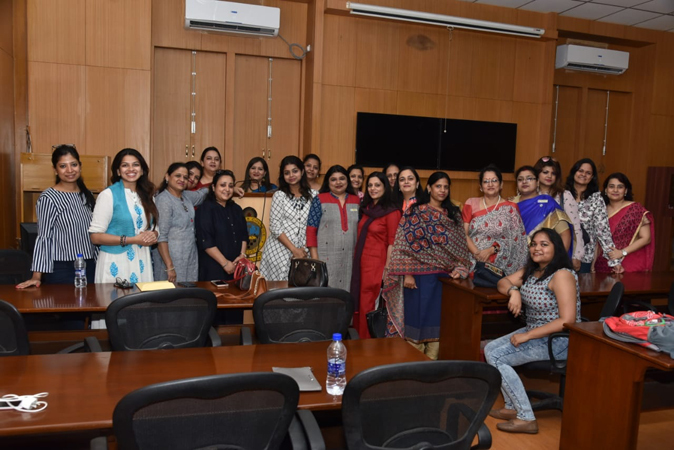 Overall it was a very enriching and satisfying experience for the members of the Women's Forum who visited on the occasion. Happy to see the progress of Rumpa at Nari Seva Sangha. 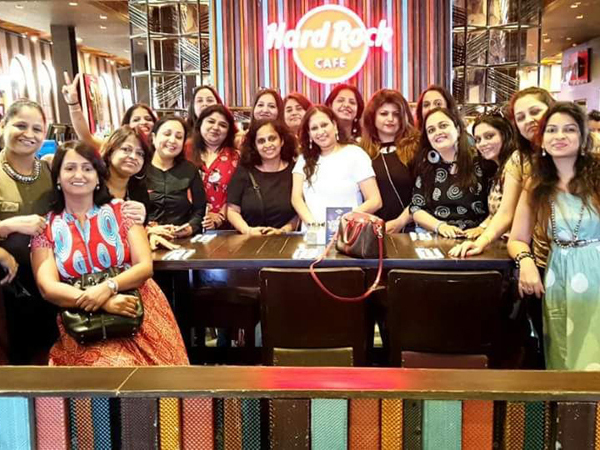 On 3rd May, 2018, St. Xavier's College Calcutta Alumni Association Women's Forum organised a Fellowship programme at the iconic Hard Rock Cafe from 12.30pm onwards. The decoration was amazing. Guitars and outfits worn by legends like Madonna adorned the walls. The music was peppy and added to the lively atmosphere. The food was yummy while the brownie and ice-cream was the icing on the cake. 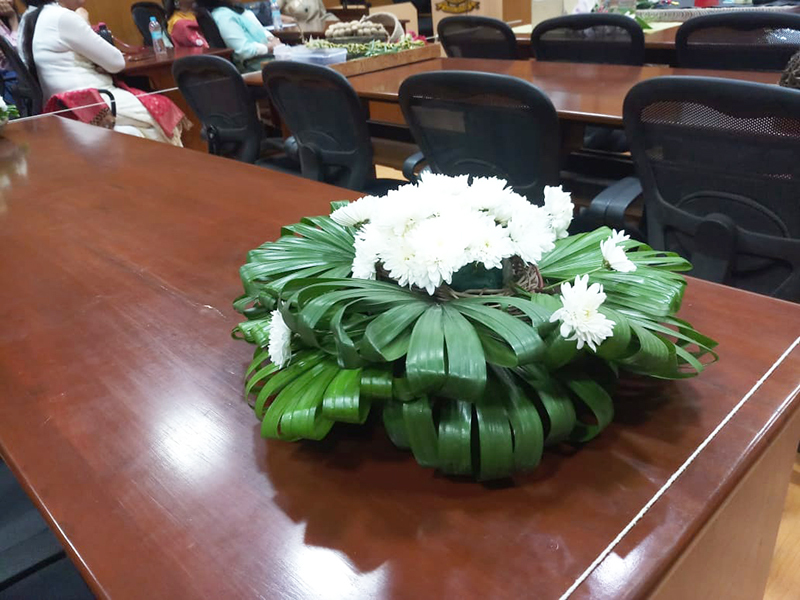 The ladies of the Women's Forum got a chance to discuss the various activities of the Forum. The afternoon ended with a photo session and the members left happy and truly satisfied. 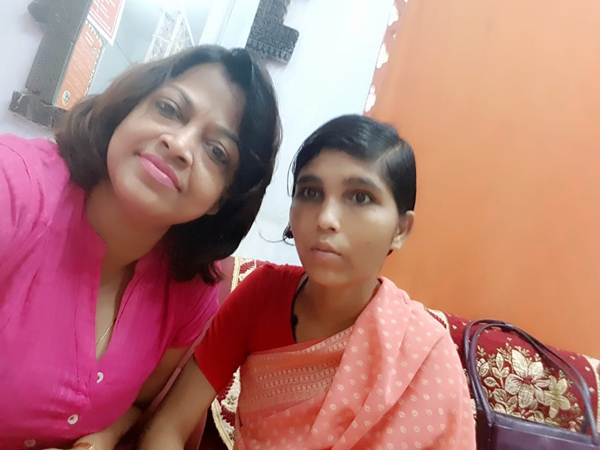 On 26th April, 2018 at 11.30AM, CREDO Orbis along with Troyee Foundation, organised a free workshop on Makeup Art, Jewellery Making and Bakery, at the Office of CREDO Orbis, 175, Block G, New Alipore, Kolkata - 700053. 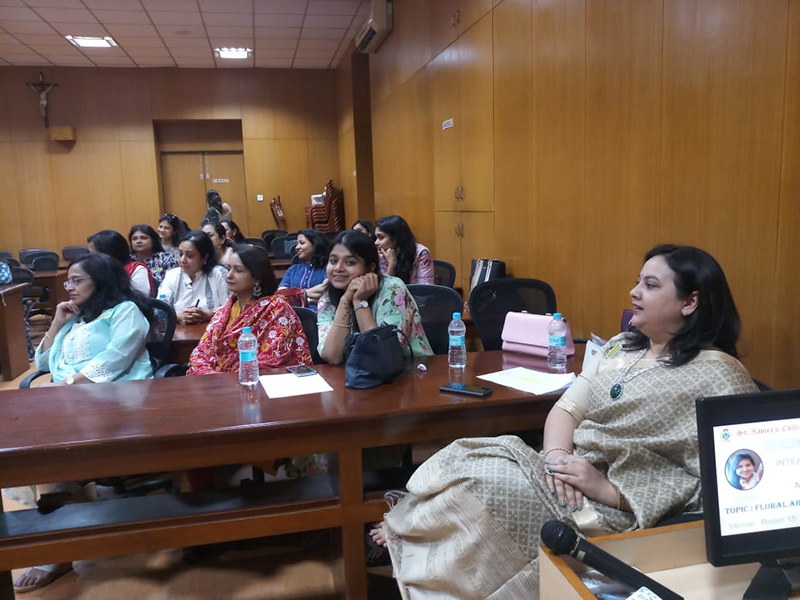 St. Xavier's College Calcutta Alumni Association Women's Forum Members were invited to participate in a micro training programme on self grooming. Members from the Women's Forum participated in the workshop. 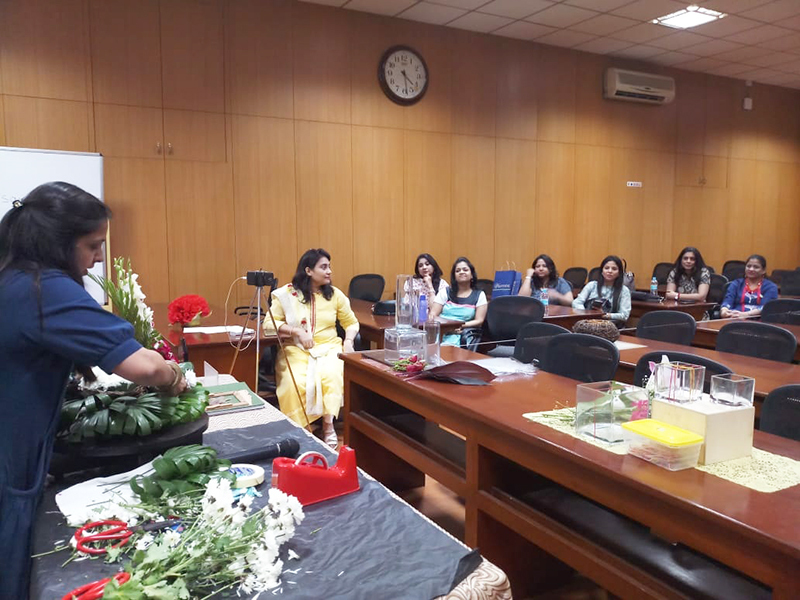 The workshop was conducted by the celebrity make-up artist, Shree Ghatak. LGBTQ community members also participated in the Workshop as CREDO believes in national integration of the masses. The event was covered by Doordarshan. 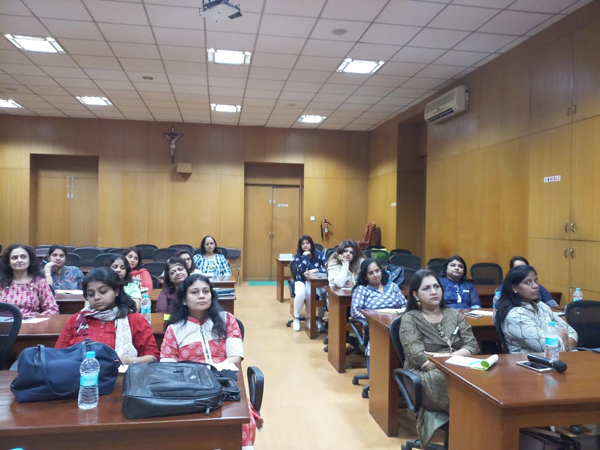 On 4th April, 2018, *ST. XAVIER'S COLLEGE (CALCUTTA) ALUMNI ASSOCIATION WOMEN'S FORUM* organised a workshop on *"Person ality Development and Fitness through Posture Awareness"* at Room No. 15. The workshop started at 5pm and continued for two hours. Rev. Fr. 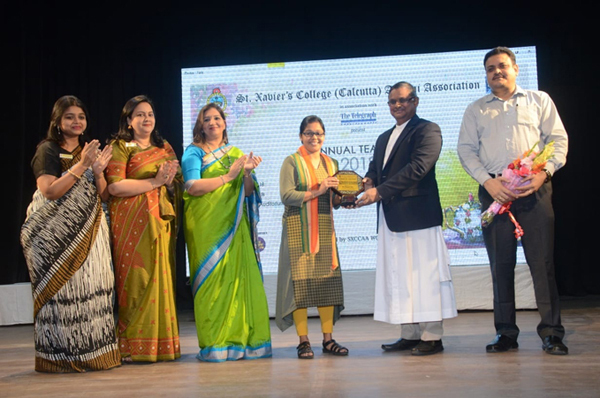 Dominic Savio, SJ, Rector and Principal, St. Xavier's College (Autonomous), Kolkata and President, SXCCAA, Mr. Sanjib Koner, Hony. Secretary, SXCCAA were present on the occasion. Mr. Firdausul Hasan was present to support us. The programme started with emcee Mrs. Darshita Trivedi welcoming the guests. This was followed by an inspiring speech by Father. After the speech, the workshop began. 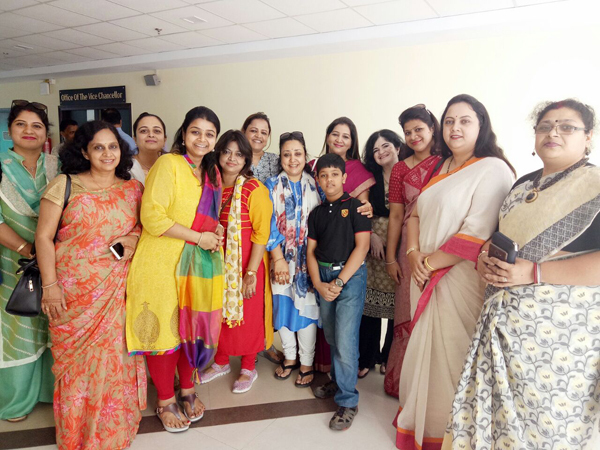 The workshop was conducted by Ms. Preeti Kothari. 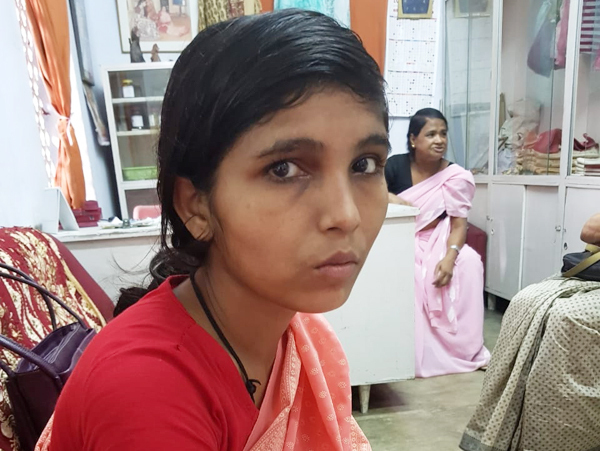 She expressed how good and proper postures can heal pain without having to take medicine. 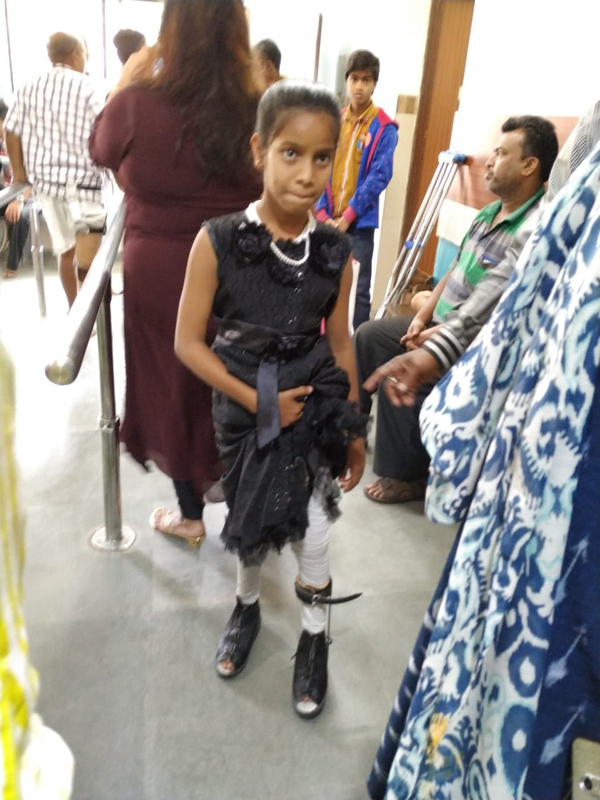 She demonstrated correct postures for sitting, standing, walking and sleeping and also showed some effective shoulder, neck and back exercises. This was followed by an interactive session. The workshop proved to be very helpful and informative and much appreciated by all present. Mrs. Ritu Buvaria gave the vote of thanks on behalf of the Women's Forum. The programme ended with a High Tea and everybody left with a sense of satisfaction. 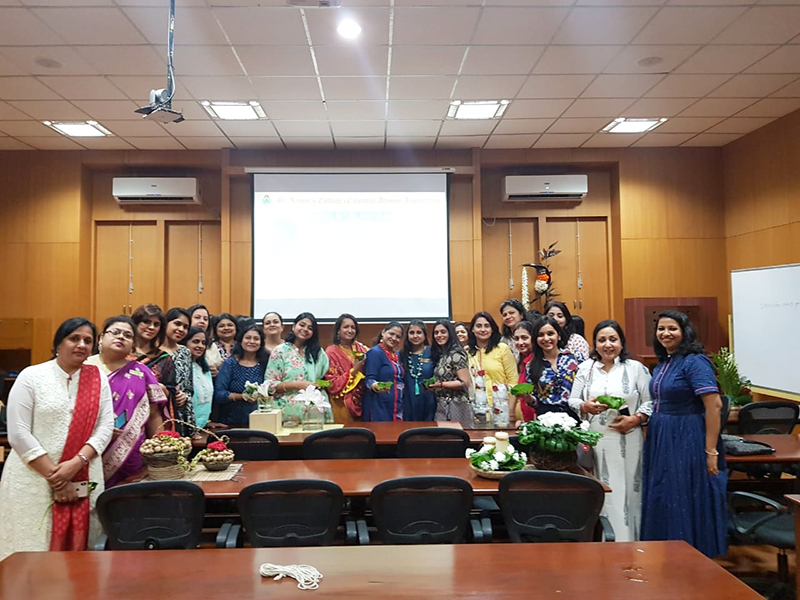 On 19th of February, 2018, Monday a team of 15 members from ST. XAVIERS COLLEGE CALCUTTA ALUMNI ASSOCIATION WOMEN'S FORUM visited the ST. XAVIER"S UNIVERSITY at Newtown, Rajarhat at 10am. Mr. G.P. Gupta welcomed the members and showed them the various portions of the University building. At first the members of the Women's Forum met the Vice-Chancellor Rev. Father Dr. J. Felix Raj at his office. 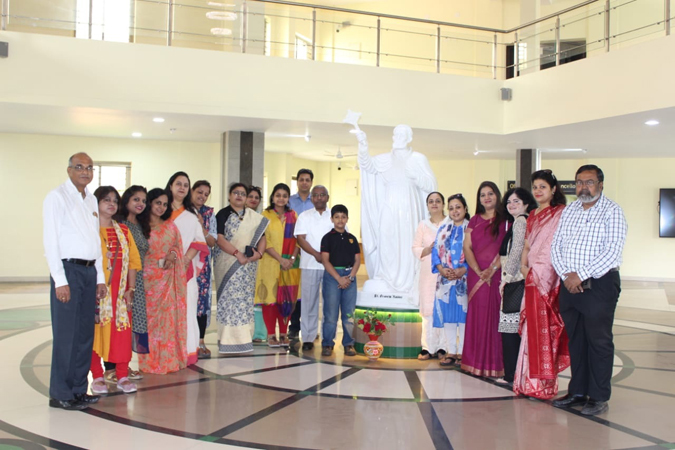 Next the members went to the Hall of fame having the statue of St. Francis Xaviers which was followed by their visit to the next Hall of fame having the statue of St. Ignatius of Loyola. Rev.Father Dr. J. Felix Raj was present at both the Halls with the members. The women's forum members then proceeded to see the classrooms. 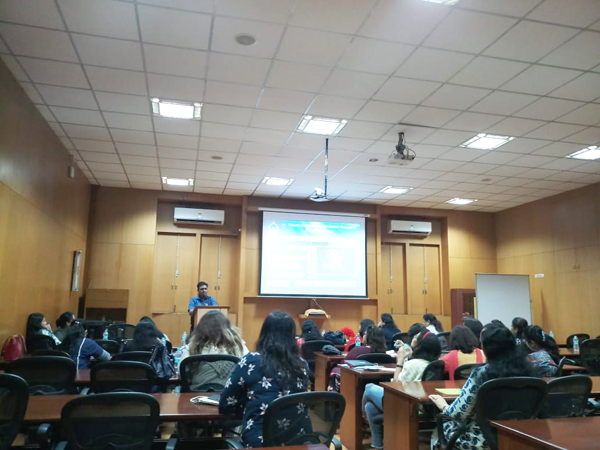 There are three types of classrooms - amphitheatre type, gallery type and general type, libraries, computer laboratories, faculty rooms, reading rooms and various other place of campus. After seeing the University campus, the women's forum members attended the BHASADIBASH programme. 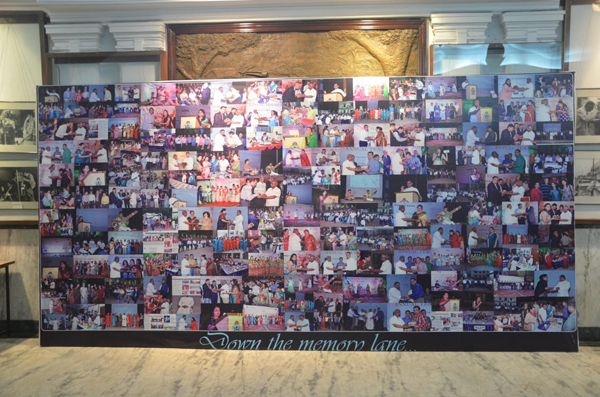 The programme was followed by a High-tea arranged by University. Rev. 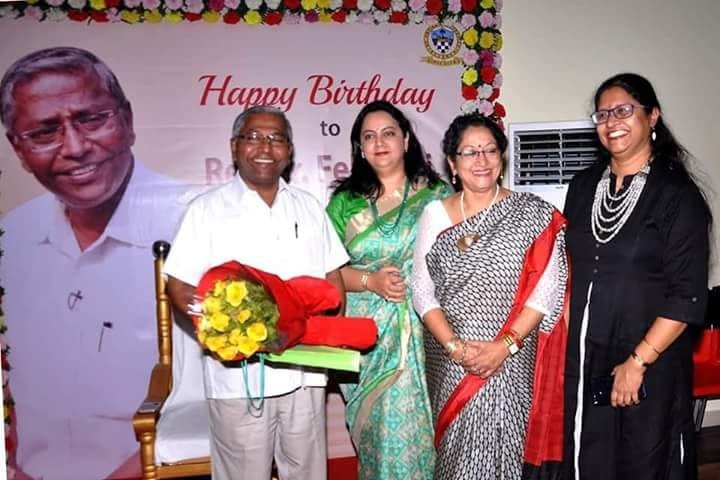 Father Dr. J. Felix Raj was himself present at the Programme and the High-tea. The members of the Women's Forum left the University campus at 1pm after the thoroughly enjoyable and memorable visit. 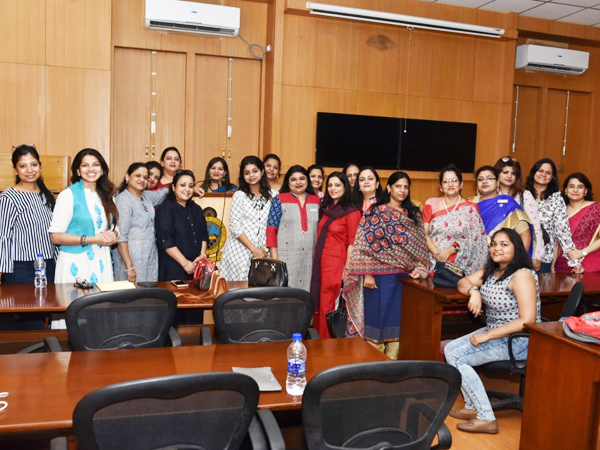 On the 7th of feb 2018 Wednesday The Women's forum of SXCAA had an interactive session on the Union Budget 2018 with Sireesha kadayala,who is an active member of Millennium mam's and very informed and knowledgeable in the field of investment.In attendance were the members of the women's forum. The session started with Purnima Bothra welcoming our speaker Sireesha Kadayala. She gave us a brief outline of the different components of the Union Budget and its effect on our lives.Gold bonds ,equity and the pros and cons of the different assets classes were other topics which we discussed.All the members enthusiastically participated in the discussion.It was a very empowering and rewarding experience for us.Refreshments were served.And the session ended with Purnima Bothra giving the vote of thanks on behalf of the women's forum. 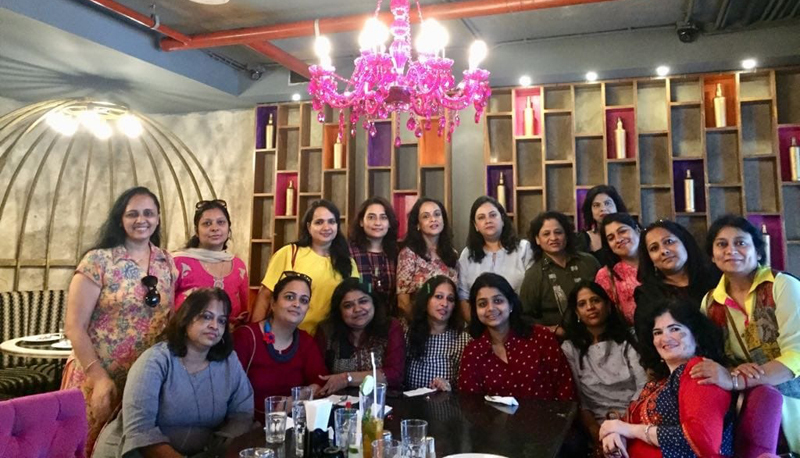 The Women's Forum of SXCAA started the new year with Fellowship celebration at Ozora on 11th January 2018 at 5 pm. 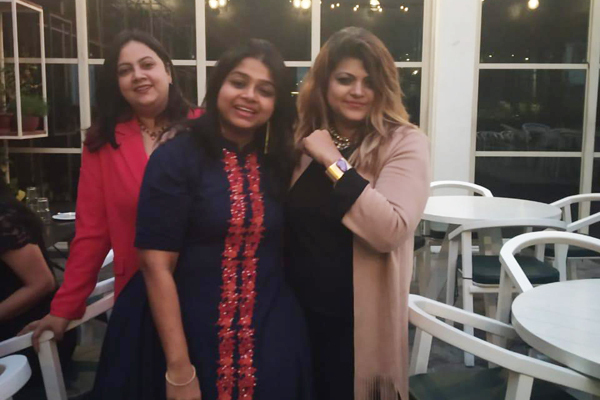 The ladies enjoyed the cold weather amidst the spectacular view of the kolkata landscape from the 20th floor terrace at Acropolis. The cold wind blew away the stress and worries of life..as the warmth of friendship and togetherness enveloped us. The rocking music made us put on our dancing shoes...while the exotic mocktails added to the fun. The crunchy pizza and spicy starters had us asking for more! 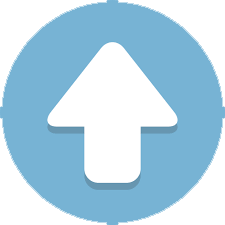 We could not have asked for a better start to the year as we renewed our commitment to SXCAA and each other. 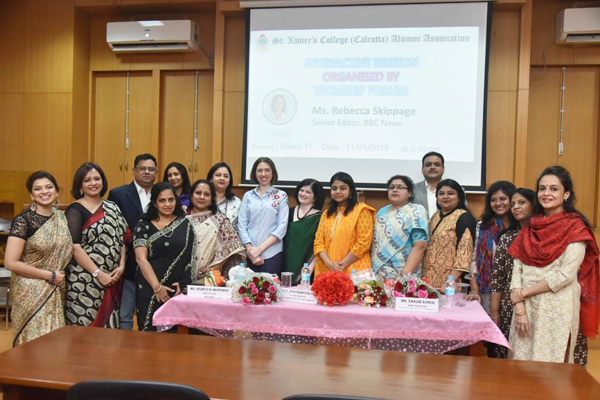 On 7th December, 2017 ST. XAVIER’S COLLEGE CALCUTTA ALUMNI ASSOCIATION WOMEN’S FORUM organised a workshop on “Hormonal Changes Post Age 40 of Women” at Papilio Clinic, Acropolis Mall. The workshop went on for two hours from 3 pm to 5 pm. 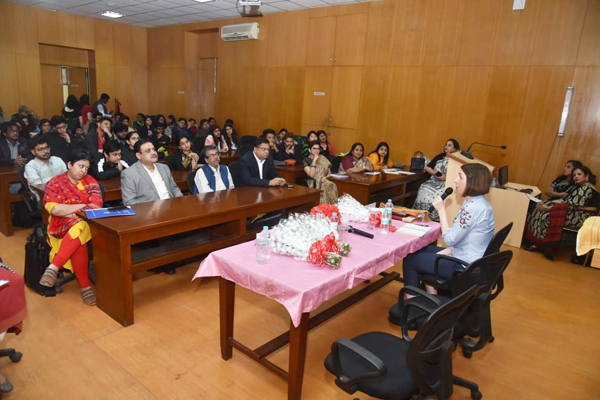 Dr. Smita Gutgutia and Dr. Queen Aditya discussed the symptoms of various stages of hormonal changes of a woman after the age of 40 and also discussed the medical care required during such stages. 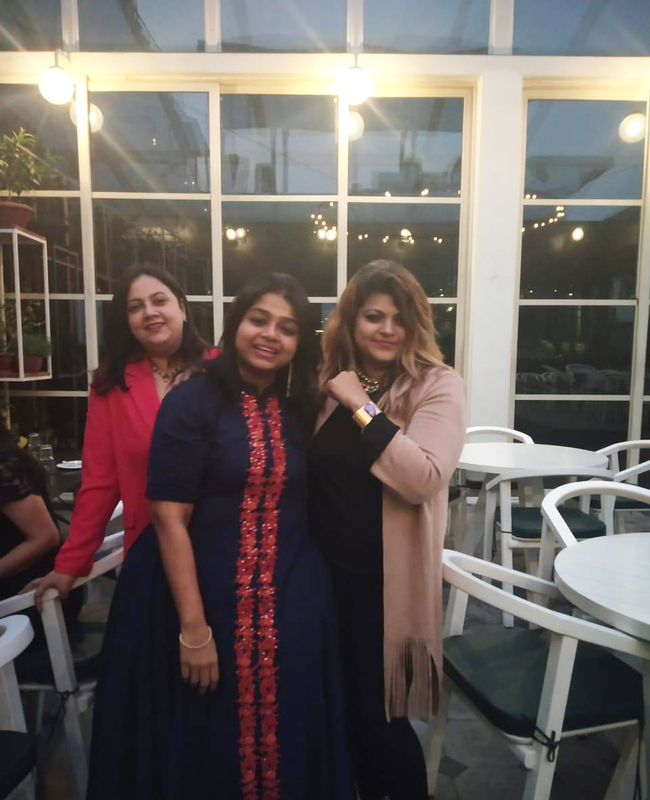 Counsellor Deepa Shah Chaki discussed various lifestyle therapies that may be effective during such stages of hormonal changes. 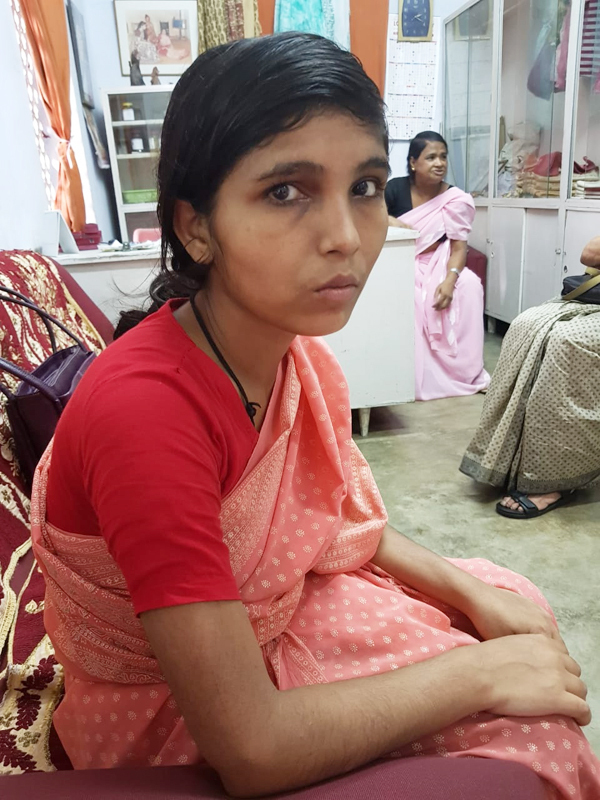 Next nutritionist Agnimitra Chatterjee gave suggestions about food habits and diet that would be effective during such phases of a women. Lastly yoga therapist Manisha demonstrated few yoga-mudras that would be beneficial to keep the body healthy during such period. The members of the Women’s Forum participated in the workshop which turned out to be highly successful. Darshita Trivedi on behalf of Women’s Forum gave the vote of thanks on the occasion. 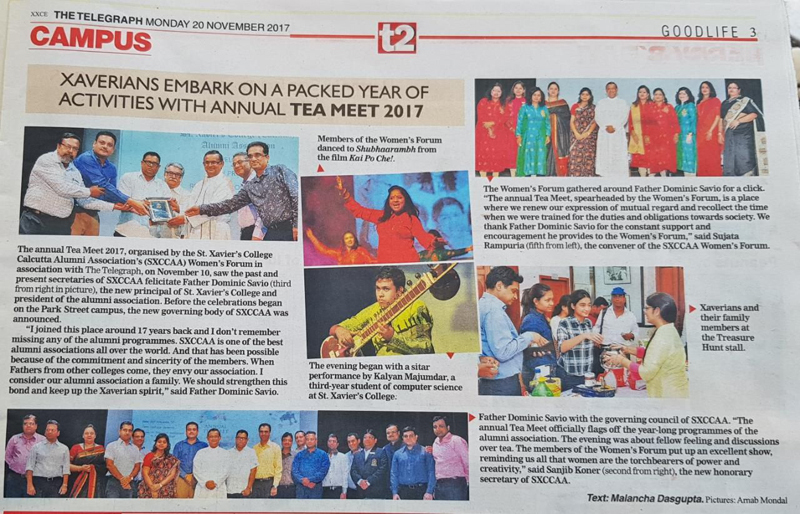 The first event of SXCCAA for this year was the Tea Meet held on 10th Nov, '17. 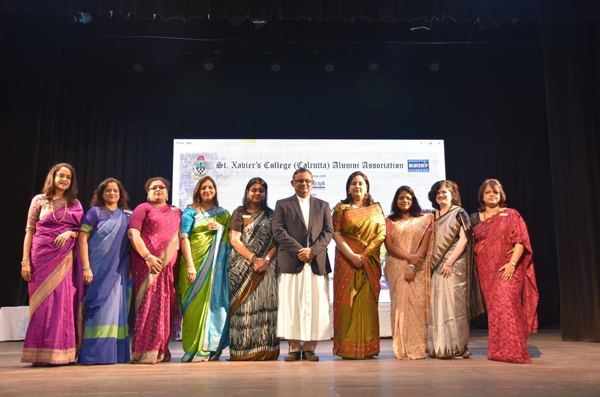 In continuation of the tradition the event was organised by the SXCCAA Women’s forum. It was a packed auditorium with 300+ xaverians and their family members . 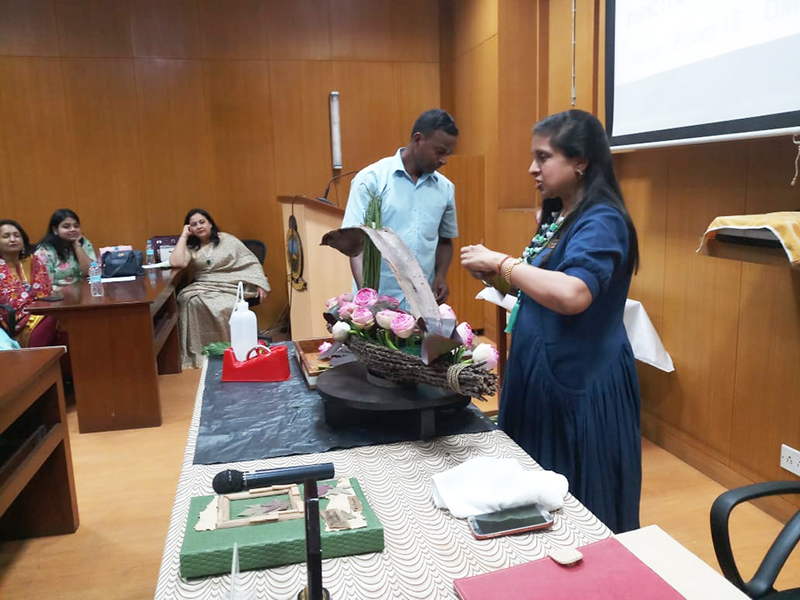 After the welcome speech by Ms Sujata Rampuria, the convenor of the women’s forum, there was a sitar recital by Kalyan Majumdar. A brilliant rendition on Raag “Desh” left us mesmerised. 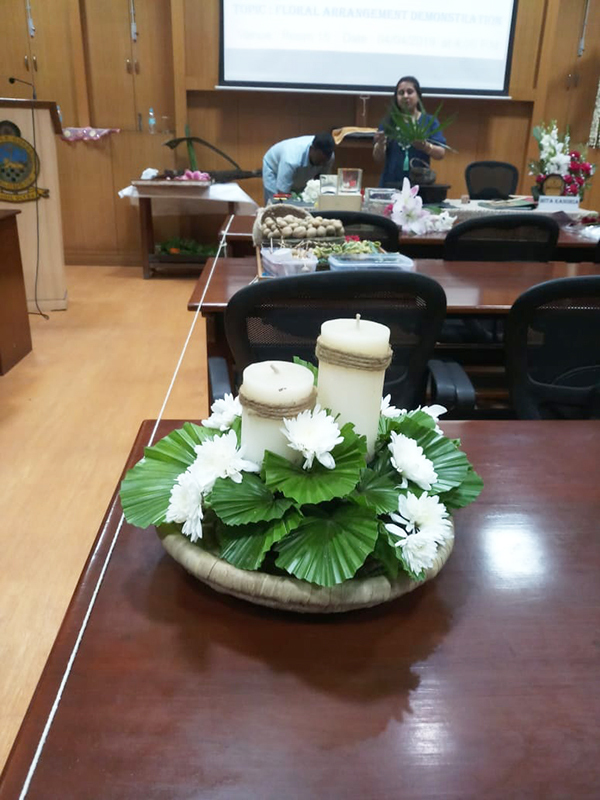 The next programme was the felicitation and welcome of our new principal and president of our college Father Dominic Savio. 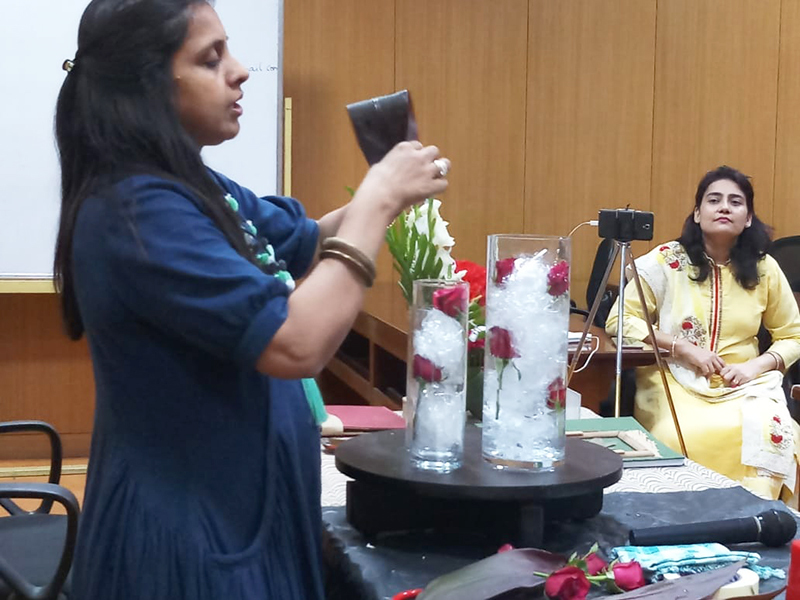 Ms Sudeshna Roychowdhury welcomed him with a flower bouquet. Our Secretary, Mr.Sanjib Koner and our immediate past secretary, Mr.Firdausal Hasan felicitated him. 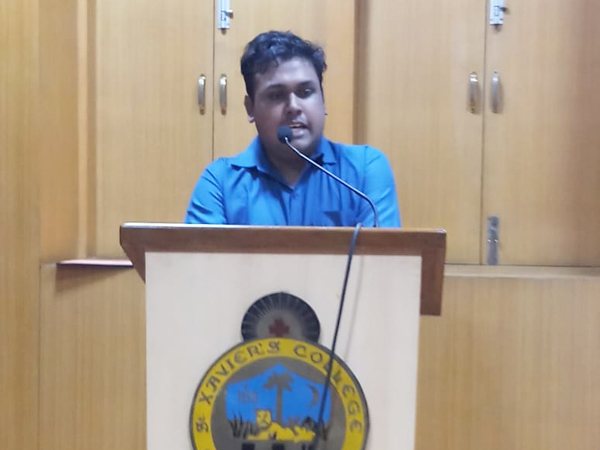 Father Dominic Savio gave an inspirational and memorable speech. 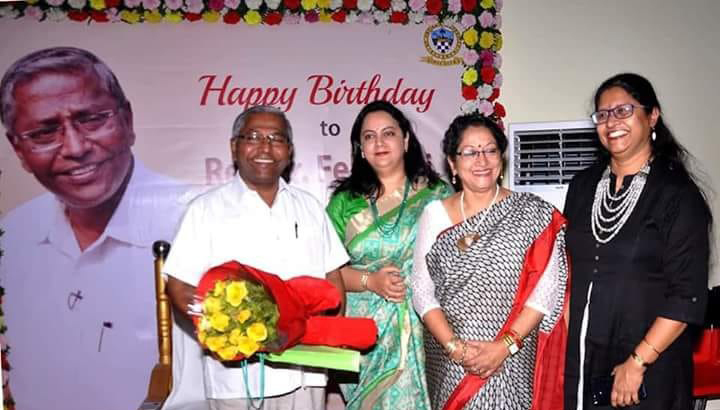 The newly elected secretary Mr. Sanjib Koner and members of our governing council were also felicitated. 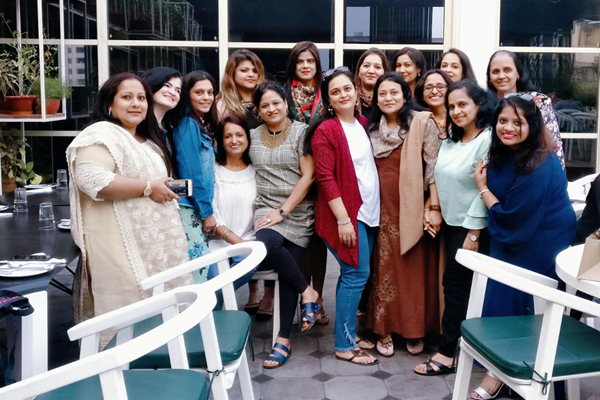 It was for the first time that an Executive committee of the Women’s Forum had been formed where some members were given badges. This was followed by the induction of new life members to the xaverian fraternity. Badges were given by father himself. Our title sponsors Blue chip and Mr. Faisal were also presented a memento. The convenors were given a token of appreciation by Father. It was followed by a dance recital by the members of the women’s forum. Based on women empowerment, the performance received a tremendous applause. The vote of thanks was presented by Sudha Sureka on behalf of women’s forum . 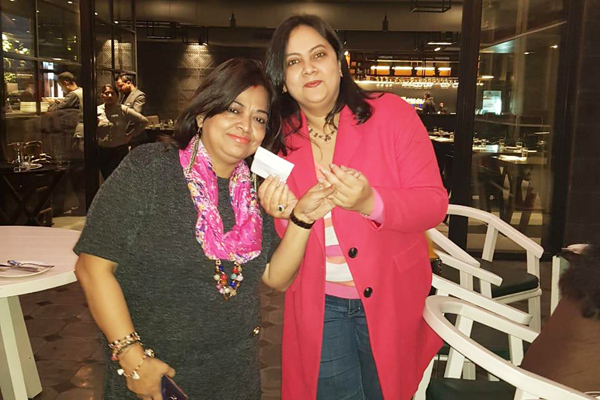 In the end there was a fun quiz by Ms Vritti Khosla. The treasure island game kept the members and children engaged. Adding to this “newness” was also bringing back nostalgia of the venue returning back to the auditorium. 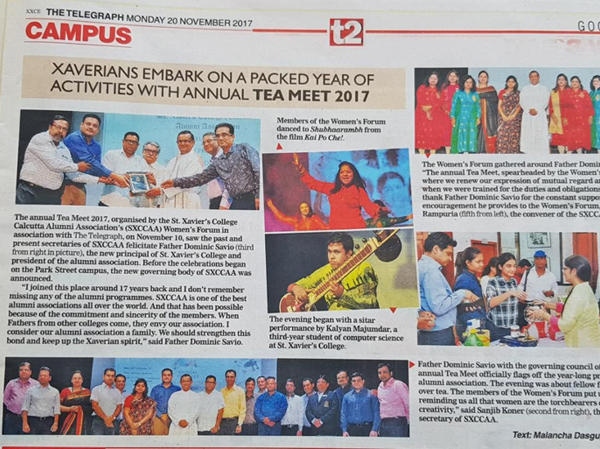 The members enjoyed the delicious snacks arranged at the quadrangle which seemed to have changed to a “fair” like place It was one of the memorable and historic tea meets.